Favignana is the largest of the Egadi islands to the west of Trapani, you get there in 20 minutes by hydrofoil , but soon came to the Egadi you are away from it all, surrounded by a pristine environment of rare beauty. Favignana, dominated by Mount St. Catherine is the place where May has been repeated for centuries the ancient rite of the massacre, tuna fishing , the island welcomes visitors with the kingship of tuna Florio , an important example of industrial archeology , now renovated and converted into a museum center of tuna fishing and archaeological remains found at the bottom of the sea, but also with the elegance and lightness typical of the Art Nouveau style of the Palazzo Florio . The tourist is fascinated by the clarity of its sea rich in history where you fought the naval battle of the Egadi in 241 BC between the Romans and Carthaginians , the island catches it with the silence of the coves : Cala Rossa , Cala d’Azur, Cave Perciata , Cala Rotonda, Bue Marino ; amazes me with the colors of his country , especially in the spring when the explosion of colors the blooms is intoxicating as the color of the sea . 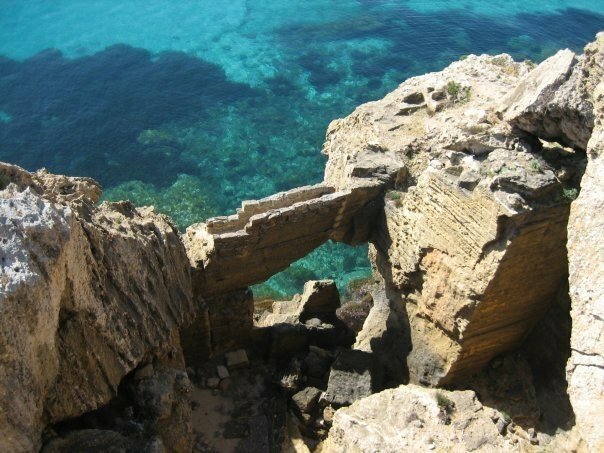 The extraction and use of the tuff , sandstone Favignana, have decided on the color of many towns and wrote an important page in the island’s economy . In the village of Favignana you can find everything you need for a relaxed and fun. There is also a lot of bars and restaurants where you can taste the couscous with excellent fish , all grocery stores and supermarkets, banks with ATM , post office, church , car , boats , motorbikes and bicycles . There is also a qualified center for scuba diving . Favignana is beautiful in all seasons , it is a triumph of color in the spring, its flowers and scents intoxicate conscious travelers. Lidia D'Angelo on Casita, for two or four people, on the beach of the country. Assunta on Casita, for two or four people, on the beach of the country.